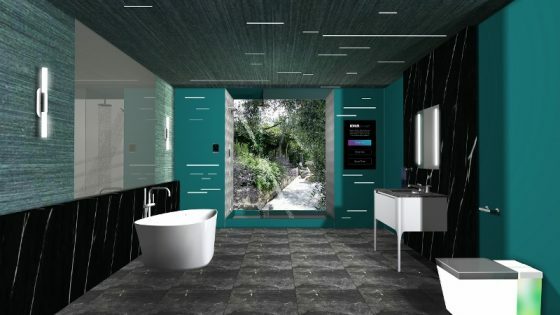 Grohe is ushering in the next generation of bathrooms with its newly launched rainshower, which looks to combine soothing, delicate showers with invigorating and refreshing massage functionalities. 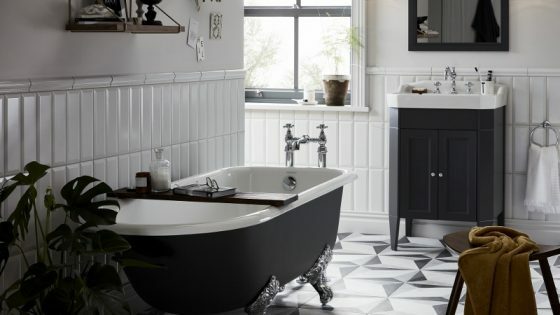 Available in round or square options, the design intends to provide users with a luxurious shower experience set to look the part in any modern bathroom or wet room. 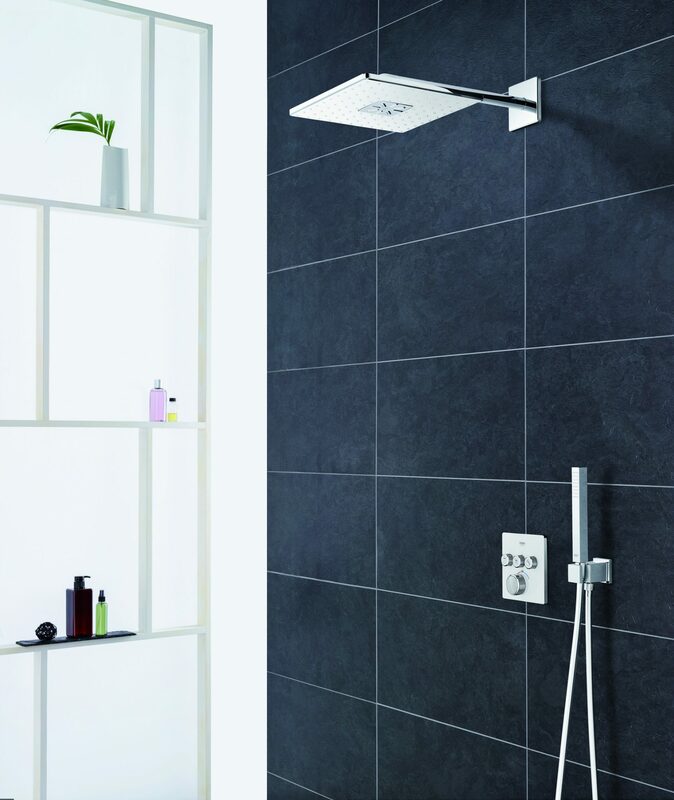 Manufactured at the Grohe plant in Lahr, Germany, the extra-large shower head is supported by a slender shower arm designed to fit neatly into any shower without looking out of place. The Rainshower 310 2-Jet showers features oval water outlets arranged in a star-shaped pattern at the centre of the spray face generate a vigorous massage jet. They are surrounded by an arrangement of nozzles producing a much gentler PureRain spray, meaning users can choose between a concentrated jet to loosen up tense muscles or rinse shampoo out of their hair and a rain shower softly enveloping their body. Cleaning the shower face is just as easy; the SpeedClean design of the silicone nozzles means that limescale can simply be wiped off. 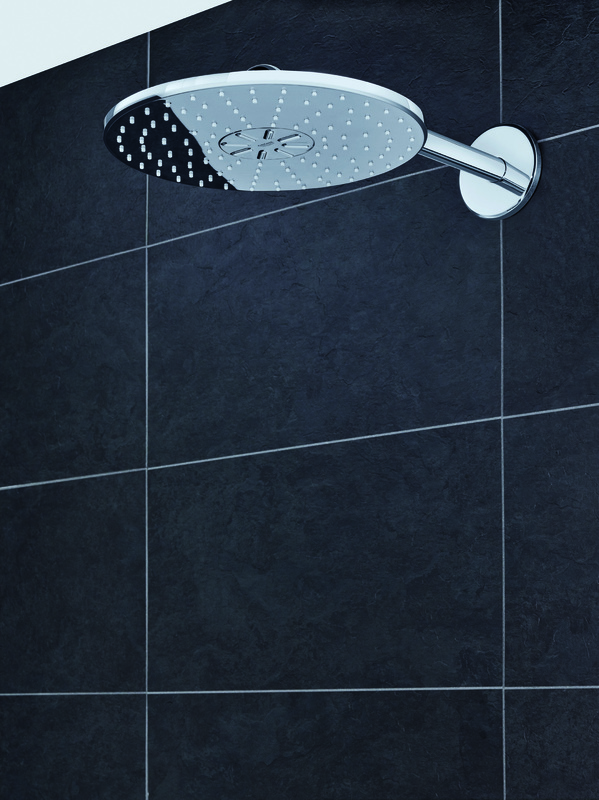 Despite their 310mm diameter, or edge length in the square option, the showers never feel obtrusive. This is thanks to their low-profile body and uniquely streamlined silhouette. The beautifully slim shower arm comes with a matching round or square wall rosette. 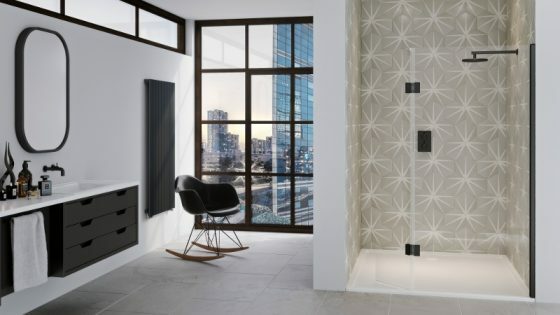 The new showers are optimally paired with the new SmartControl Concealed units, whose depth of only 43mm ensures minimum intrusion into the shower, leaving maximum room to move around. Design-coordinated hand showers and other water fittings are available in the extensive range of bathroom products from Grohe, the brand that is synonymous with flexibility in bathroom design and fully personalised shower experiences. For more information, you can visit Grohe’s website here for more information.